Australia Women won by 5 runs. Right, one semi down, one to go. Our coverage of the England men's game against New Zealand will begin in about 20 minutes. Until then, punish yourself be watching all the highlights from the women's defeat at the top of this page. "There is a little stage fright and we were a little guilty of that in field, but we are not fit enough. Athleticism is a gift, so there is not much we can do about that, but anaerobic fitness we can do something about and we will." Yes, Paul, I clearly did give away the ending to The Night Manager. Roper is Pine's father. Have you heard of Star Wars? Paul Thomas: Not sure what is more annoying - Eng throwing it away or being told ending of Night Manager before I have watched last episode! England coach Mark Robinson on Sky Sports: "The size of the boundaries play a big part of it. We needed to play well in the powerplay. "We did well to keep their score down and, in the end, we were five runs short. "Our bowling has been a little bit flattered. By the time we woke up and bowled straighter, we gave them extra 20 runs we shouldn’t have done." So, England have suffered one disappointment today, but the men have the chance for joy in a little over an hour. Naturally, we'll have all action right here. In the mean time, on Test Match Special, you can hear from Andrew Flintoff. Lovely stuff. Australia captain Meg Lanning: "We knew the powerplay would be crucial and with the start we got, we got ahead of the game. We knew it would be more difficult when the ball was softer so it was crucial we built on that momentum. "We didn’t start as well as we would like with the ball but we began to hit our lengths and the stumps." England captain Charlotte Edwards: "I think we know a lot about each other and there are no secrets but Australia held their nerve and we didn't, and that is probably the difference. "We didn’t start particularly well with the ball but dragged it back and then started brilliantly with the bat and then lost our way. We showed glimpses towards the end of getting it back, but it wasn’t quite meant to be." If you can bring yourself to do so, you can watch all the highlights behind the tab at the top of the page. This Charlotte Edwards wicket began a collapse from 67-0 to 117-7. That is pretty much the story of England's tournament. Devil's Advocate: England women have had a shocker there! Completely bottled it. Hoping for a better performance from the men later. Arsene's Eyes: Don't really know how England threw that away. Felt for a long time like they were well on course but just didn't have the urgency. "I am looking at England's players and the body language says it all. Just disgruntlement at losing that." Australia captain Meg Lanning: "It was a fantastic start from openers, they set a platform for me coming in and I just had to bat for bit. I would have loved a few boundaries but all my energy was used running. "We thought we were about par and if we bowled well could defend it. It was tough when Katherine Brunt was whacking it. I was nervous but we got there in the end." "The players are fully professional and the one player carrying them through is Charlotte Edwards. 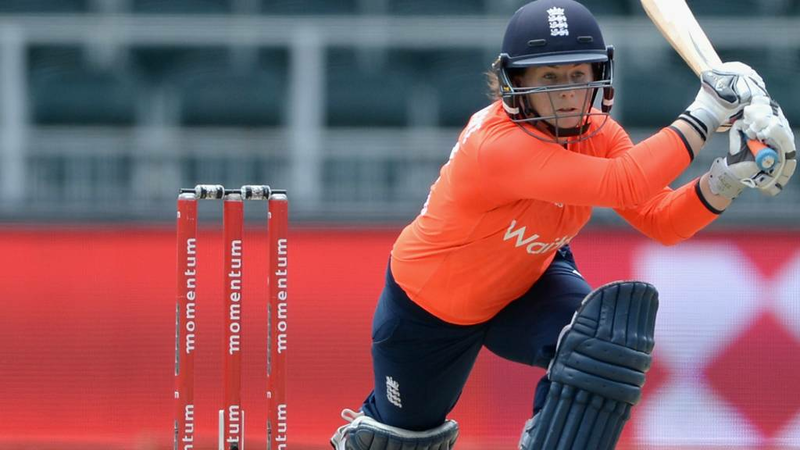 There is talk about when she will retire and if you take her runs out of this line-up, it is worrying." "It is disappointing. England will go home not just feeling like they lost a semi-final but feeling like they threw it to the other team." "Australia looked out of it. 10 overs ago this game was over. England have done their best to throw this away."